The new Synge & Byrne coffee kitchen in the Foyleside Shopping Centre was fitted out by the Marcon team in 5 weeks. Marcon’s design and project team worked closely with owners, BWL to develop the concept of the new brand. 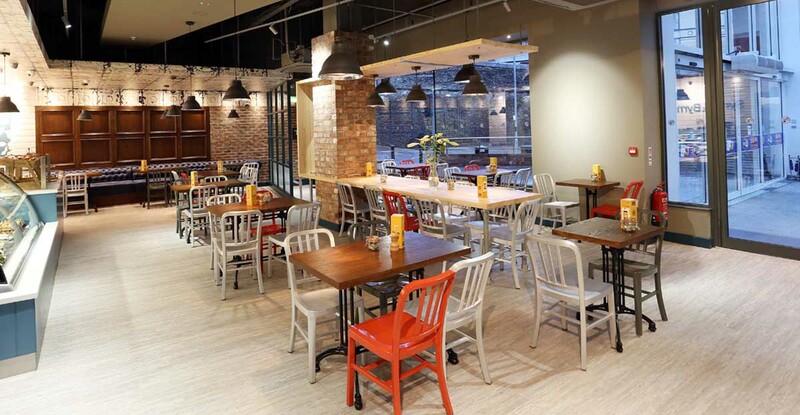 The ethos behind the design is to create interesting spaces. To blend old style finishes with new. Features include solid surface counter worktops, wainscot timber panelling, ceiling rafts made from various materials and an aged metal tile effect wallpaper. 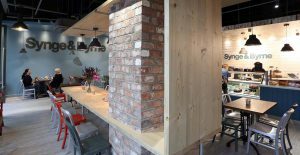 There is also a feature table made from sand blasted timber scaffold planks and metal strapping which has been a huge success and has become the focal point of the café. 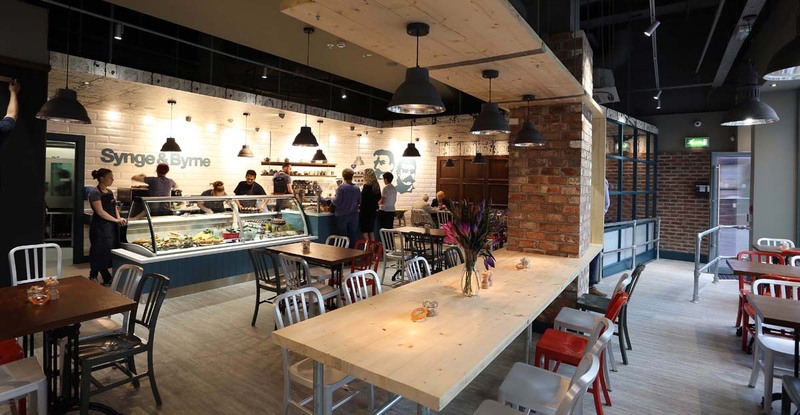 All the joinery items and solid surface worktops were manufactured at the company’s specialist joinery workshop in Antrim. 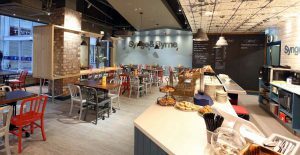 This is the third Synge & Byrne to date in Northern Ireland after Abbeycentre in Newtownabbey and Sugar House Quay in Newry. No two Synge & Byrne interiors are the same. While there are common features, such as the counters, signage and backdrop, there is individualism in every location, depending on the specifics of the particular building.